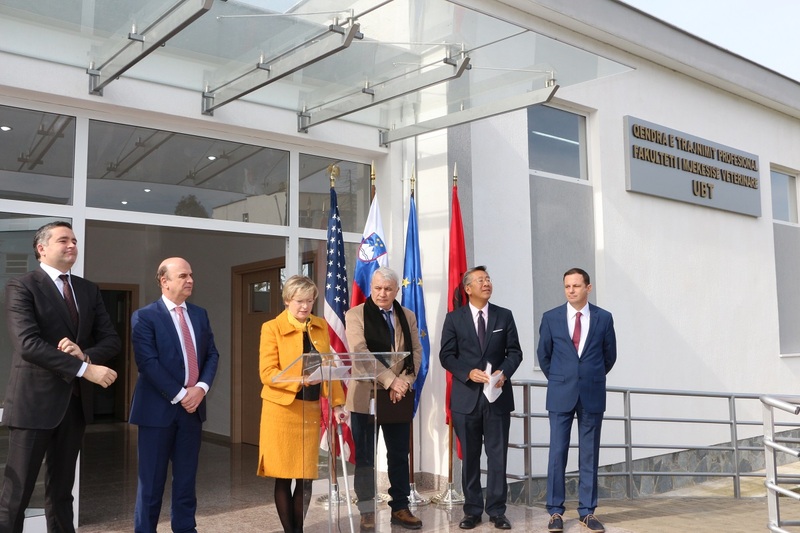 Balcan Center for Cooperation and Development – Slovenian Ambassador Lea STANCIC, US Ambassador Donald LU, Minister of Agriculture Edmond PANARITI, Minister of Social Welfare Blendi KLOSI and Rector of AUT Fatos HARIZAJ at the inauguration of the Vocational Education training Center at the Agricultural University of Tirana. 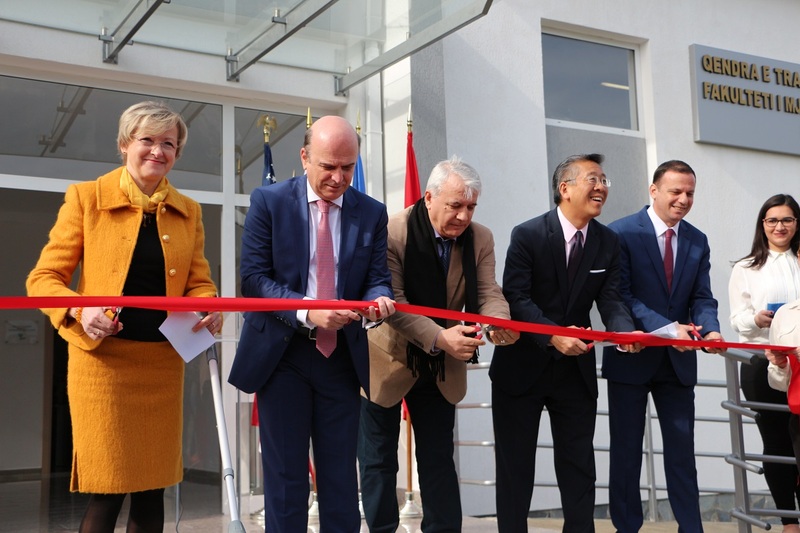 Slovenian Ambassador Lea STANCIC, US Ambassador Donald LU, Minister of Agriculture Edmond PANARITI, Minister of Social Welfare Blendi KLOSI and Rector of AUT Fatos HARIZAJ at the inauguration of the Vocational Education training Center at the Agricultural University of Tirana. 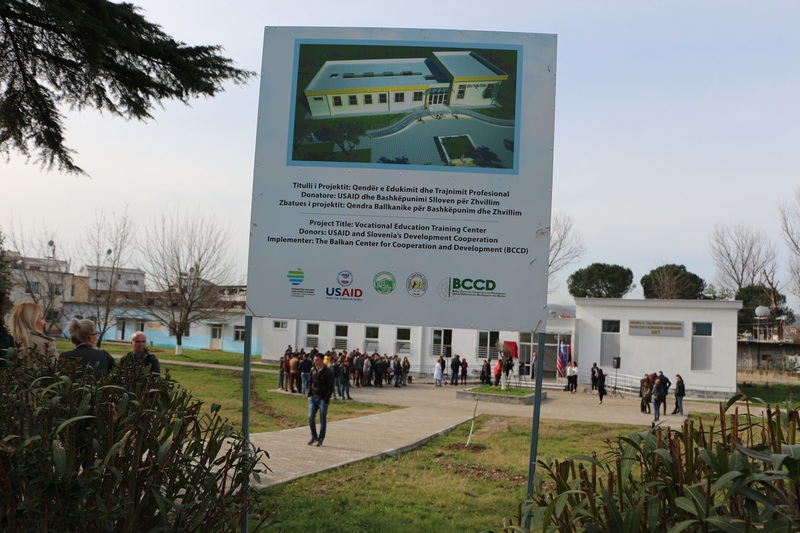 The center will provide students the opportunity to develop market – oriented skills to analyze food safety and diagnose animal health issues. 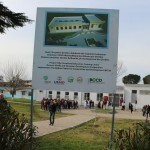 Project is implemented by BCCD and co-financed by Slovenian government and USAID.